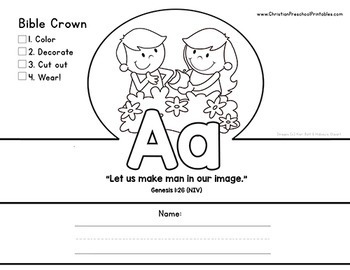 Bible Verse Crowns are a fantastic take home treat for children in your Christian Preschool or Sunday School classroom. 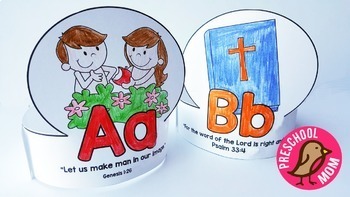 We've created Bible Character Scripture Crowns for each of the 26 letters in the alphabet. 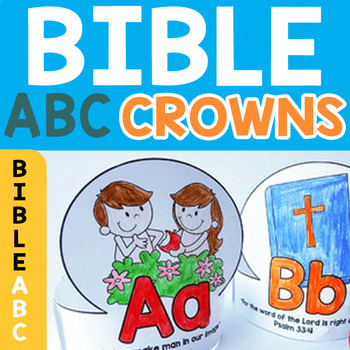 Each crown includes a Bible character, Alphabet letter and a key verse for children to memorize.